Stuff your old files into a bag and get over to Storables this Saturday. 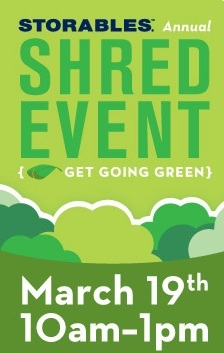 Free shredding from 10 to 1. Tigard, OR and Lynwood, WA locations only. Great chance to clear out and clean up the green way. Two shopping bag limit per person. Get more details here.